It's all about "stars" it seems! 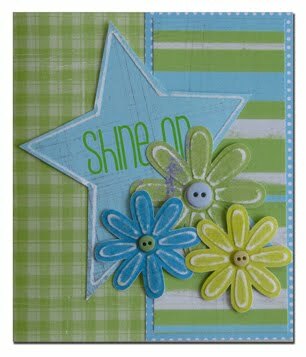 Lasting Impressions has been posting some very nice star designs and I decided to make my class on the 19th all about stars as well. Here's another L.I. design and stayed tune for more of mine! 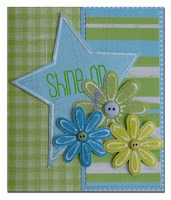 oooh I love this ... how fun to pair up a star with flowers! I love this too. Never would have thought to pair the flowers with the stars but it works! Can't wait to see your designs. Phew Donna! I'm just catching up at last. Loving the star designs and the Father's Day cards are great. Hope DH recovers soon from his knee op.